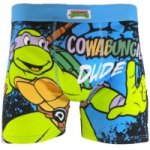 TMNT Classic Boxers | D.G.C. The Turtles are back in a brand new motion picture, but these boxer shorts pay homage to the original cartoon series. 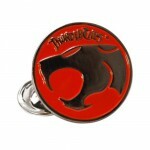 Relive the nostalgia with these classic Turtles products, suitable for gifts or just a treat for yourself. Cowabunga dudes! Remember the massive hit cartoon series – Teenage Muntant Ninja Turtles? 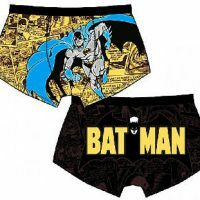 Well now you can wear these great elasticated waist Turtles boxer shorts and relive the memories.